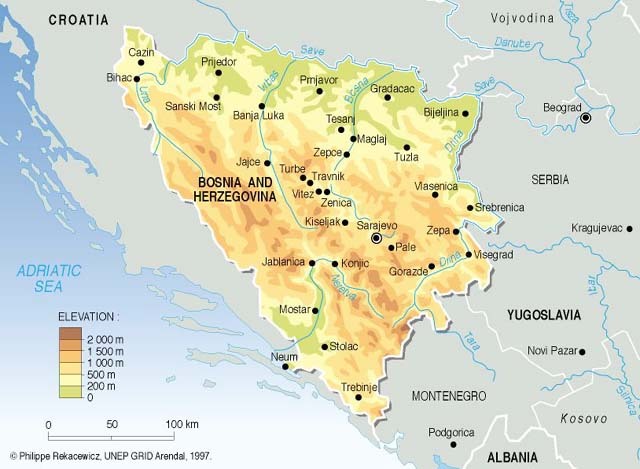 Brief intro: During the War in Bosnia (1992-1995), Zepa became one of three Bosniak enclaves in eastern Bosnia surrounded by the Serbian forces, along with Srebrenica a short distance downstream and Goražde farther upstream, after other towns such as Foča, Bratunac and Zvornik were ethnically cleansed. The military commander of the Zepa enclave was Avdo Palic. It was declared a United Nations safe area and guarded by a small Ukrainian army unit operating under the UN mandate for the United Nations Protection Force (UNPROFOR). Zepa fell to Bosnian Serb forces on July 25 1995, two weeks after the same troops overran the enclave of Srebrenica and slaughtered over 8,000 Bosniaks there. July 27th 2006 marks the tenth anniversary of the disappearance of Col. Avdo Palic, the commander of Bosnian Government forces defending the United Nations-protected enclave of Zepa during the Bosnian War. 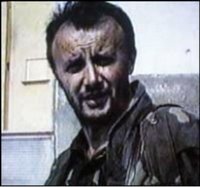 Colonel Palic was seized in front of eye witnesses by Bosnian Serb Army soldiers in Zepa, in July 1995, where he had gone to negotiate with the Bosnian Serb Army, the evacuation of the remaining Bosniak inhabitants from Zepa. General Radislav Krstic, deputy commander of the Drina Corps, who has since been sentenced to 35 years imprisonment by the Hague tribunal for genocide, gave the order to attack Zepa on July 13. "I have decided to immediately begin an attack and break the enemy in the enclave of Zepa with the aim of liberating and cleansing Serb Podrinje of Muslim forces and liquidating the enclave," Krstic wrote in his order to the troops, a copy of which has been seen by the Balkans Crisis Report. "After breaking the enemy in Srebrenica enclave, our forces will continue action on a mission to break the enemy in Zepa enclave and create conditions for actions towards Gorazde," the order continued. Colonel Avdo Palic is assumed to have been killed and the place of burial has been disclosed to the Office of the High Representative in Bosnia who have asked the authorities in Republika Srpska to perform an exhumation so that the body can be retuned to his widow. In line perhaps with their general intransigence and possibly because criminal investigations are under way the RS authorities seem unlikely to act. To take advantage of the opportunity of the 11th anniversary of Avdo Palic's "disappearance" (Thursday, July 27th) the Houston Amnesty Group want to send as many letters as possible to put pressure on the RS authorities to carry out the exhumation and provide Mrs Palic with a final end to the uncertainty she has endured for the last eleven years. In January 2006, the Republika Srspka (RS) authorities established a commission to gather information about the fate and whereabouts of Colonel Palic. They only did so when ordered by the Office of the High Representative (OHR) and after repeated failures to comply with the 2001 instructions of the Human Rights Chamber of Bosnia and Herzegovina to conduct a full investigation. The commission submitted its findings to the OHR in April 2006. In a press release on 21 April, the OHR reported that “The report details the fate of Avdo Palic and claims to reveal the location of his mortal remains” but added that it could neither reveal nor comment the findings because “criminal investigations are currently under way”. In a second press release on 5 May, the OHR expressed concern at the failure to undertake the exhumation which the RS had said would be carried out “in a matter of days”. We do not know for certain that any remains found in the location allegedly reported in the Palic Commission's report will in fact be those of Avdo Palic. However, there is evidence that the RS may be close to finding Avdo Palic's mortal remains and it should be urged to do so urgently. Its consistent failure to undertake an exhumation in the location allegedly mentioned in the Palic Commission's report is a matter of great concern. We want as many letters as possible to arrive on July 27 or as near that date as possible. Please email the RS Prime Minister (kabinet@vladars.net) A.S.A.P. using the sample below, with copy to the RS Minister of Interior (mup@mup.vladars.net). Please send a blind copy to Phivan of Houston based Amnesty International pvlwright@mindswithoutborders.org. I’m writing in connection with the “disappearance” of Avdo Palic in July 1995. The Commission that was set up in January 2006 to investigate the fate of Avdo Palic was an important step in ending the ongoing suffering of his family and impunity for his “disappearance”. I welcome the fact that the Commission submitted its report to the Office of the High Representative on time, and that it reportedly gives details of the location of Avdo Palic’s mortal remains. Bearing in mind official RS statements that the exhumation would be carried out soon, I am concerned about the delay in undertaking the exhumation and the additional suffering this is causing Avdo Palic’s family. Keep Esma Palic, Avdo Palic’s wife, fully informed of all developments in the exhumation, and if the remains are those of her husband, make them available to her promptly so she can arrange a dignified burial. Thank you for keeping in mind the continued suffering of Avdo Palic’s family, and for your attention to this urgent matter. Thousands of “disappearances” are still unresolved. While perpetrators of wartime violations continued to enjoy impunity, victims and their families were denied access to justice and redress. Thank you for your activism!